Beauty Abounds on Trails Near Blackwater Falls. There are more than 20 miles of trails at the park, with individual trails ranging from about .25 miles to 1.56 miles. You can also link up trails for more mileage. Some of the trails at Blackwater Falls State Park are short and easy, while others are longer and more challenging. 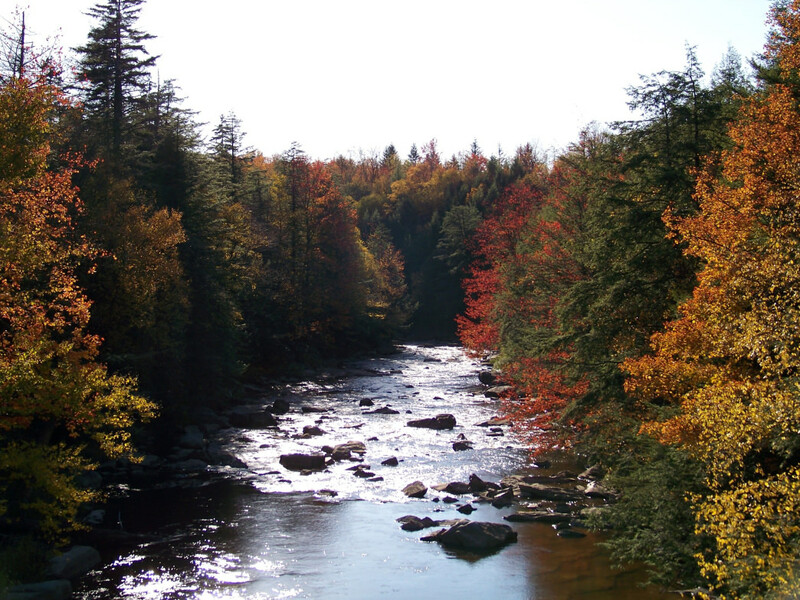 Caution: Once you experience Blackwater Falls State Park, you will not want to leave. Named after the rushing water that has a darker color due to the tannins in the fallen hemlock and spruce needles, the 62-foot Blackwater Falls is one of the most photographed spots in the state of West Virginia. And with more than 20 miles of scenic trails, you’ll understand why the locals love running here! Rail-to-trail projects are plentiful in West Virginia, but for sheer beauty and trail variety, few can match the 10.5-mile Blackwater Canyon Trail. It’s one of the most popular and longest trails in the park, lined with mountains on both sides and accented by roaring rivers and waterfalls. Don’t miss Douglas Falls, which is about 6 miles in. The 1,229-foot ascent up Backbone Mountain will test your hill skills, so it’s a great workout. This great trail is also popular with mountain bikers, so keep your eyes and ears open for them when you’re running. If waterfalls are your thing, you’ve found your happy place. In addition to Douglas Falls mentioned above, there are at least 2 more falls to intersperse throughout your run. Take the Blackwater Falls Boardwalk Trail, one of the easiest trails in the park, down to the park’s namesake Blackwater Falls. Or, the .50-mile round-trip Elakala Trail will take you to the smaller Elakala waterfall, then on to the canyon rim. If you’re looking for a longer run, the Davis Trail is a well-maintained, .25-mile rail trail along the Engine Run stream. It’s an easy run that heads up Canaan Mountain, but it intersects with other trails along the way, like the 8-mile singletrack Plantation Trail or the 3.2-mile Railroad Grade Trail. You can even continue all the way to Canaan Valley Resort State Park. Most the trails at Blackwater Falls State Park are short and on the easier side, making it a great place for beginner trail runners and families. For more experienced runners, there is the Blackwater Canyon Trail, or the potential to link up with other trails for longer runs. Grab a map from the Visitor Center before you head out, or you can see the map on the Blackwater Falls State Park website. The park is at 1584 Blackwater Lodge Road in Davis, WV. For directions, visit www.blackwaterfalls.com, or call 304-259-5216. Parking lots are plentiful and located throughout the park. Carry a flashlight after 4 p.m. from May through September, and after 3 p.m. from October through April. Stay on marked trails.